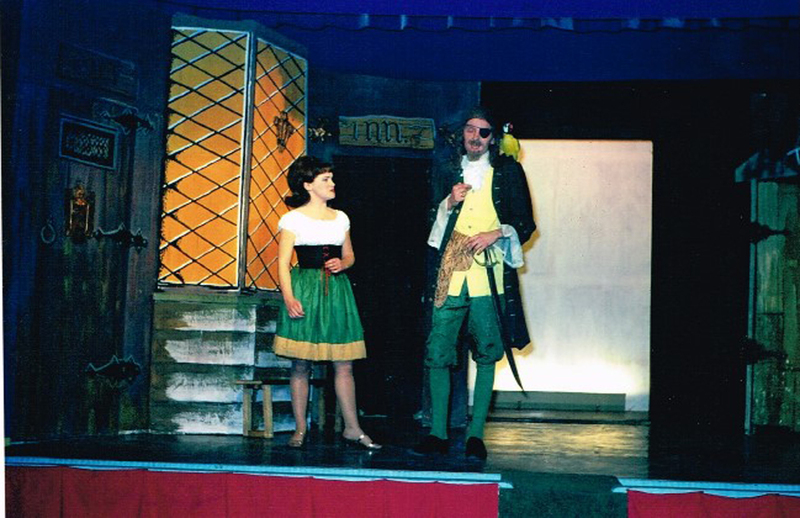 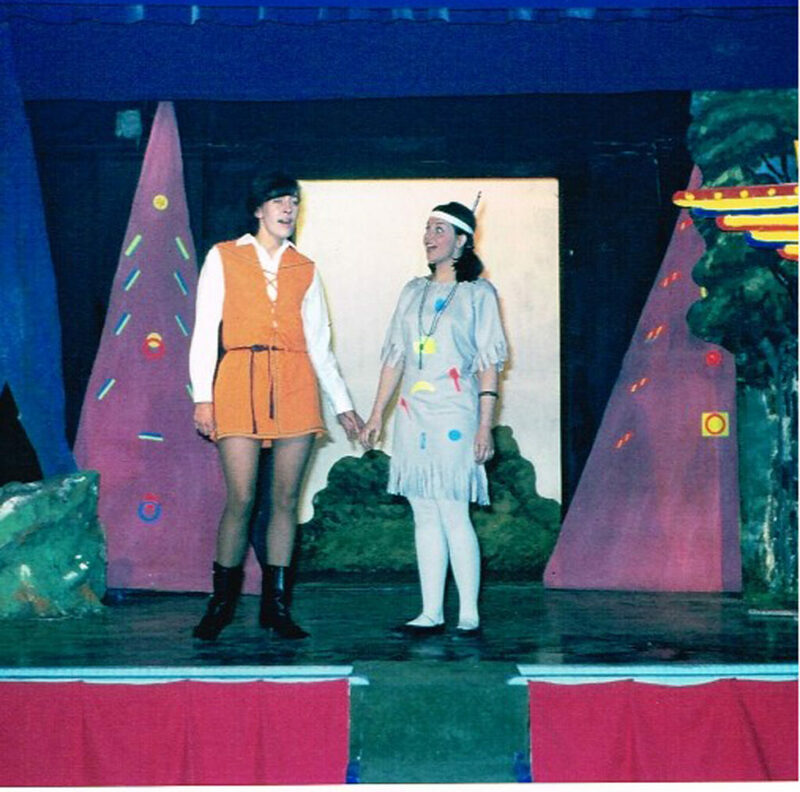 This swashbuckling pantomime was written by Barry Elliott and Dave Morgan with the input of lots of ideas from other Drama Club members – plus those borrowed and/or stolen from other Panto’s on the TV, at local shows and some of the well known radio comedy programmes of the time! 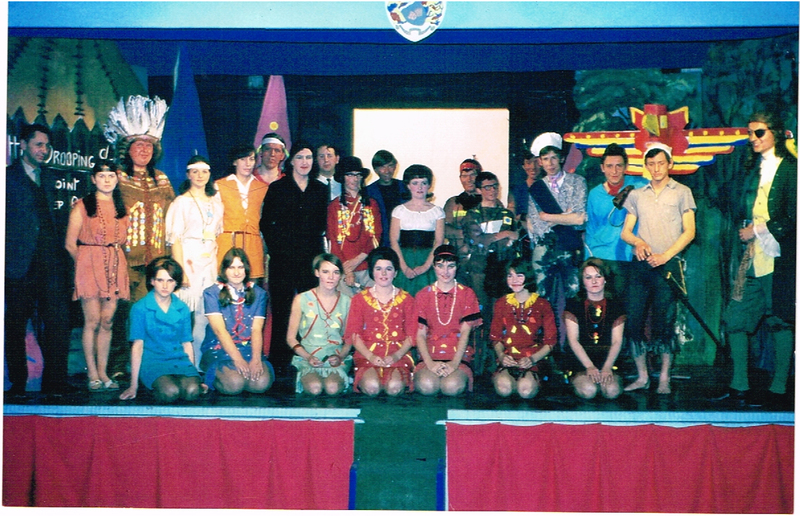 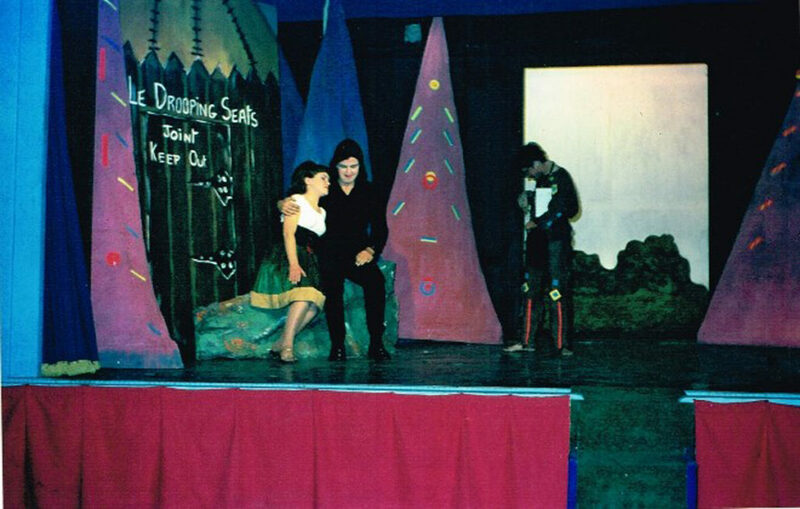 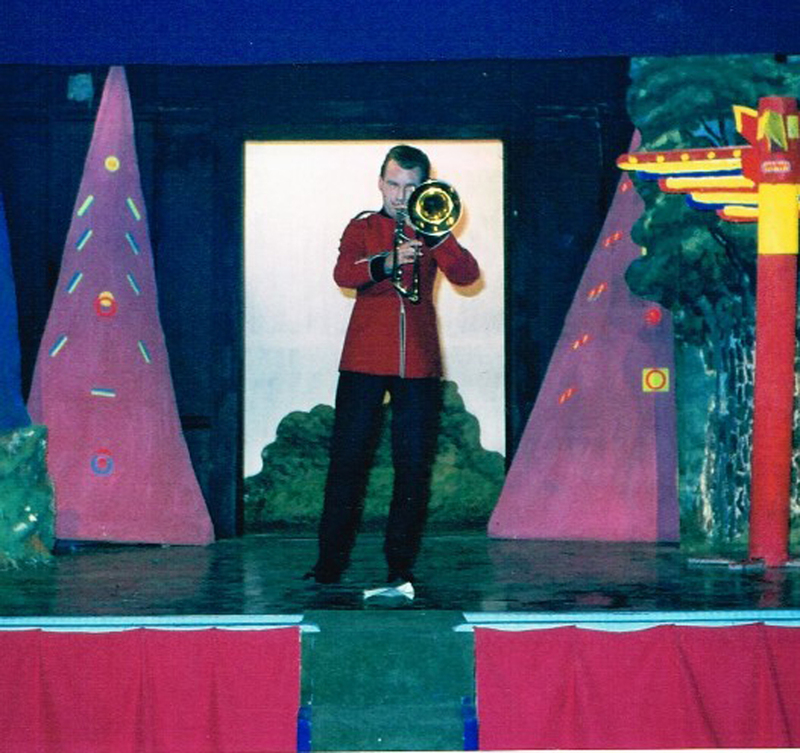 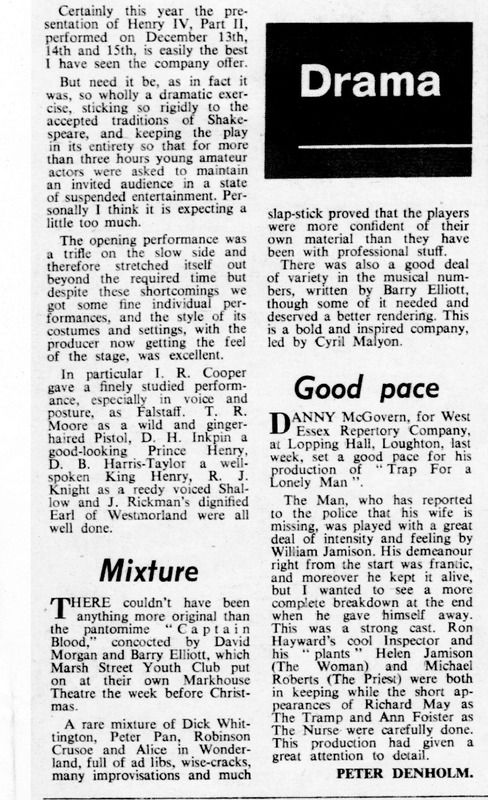 Barry Elliott also wrote the songs – so very much a Drama Club ‘production’ from prologue to finale! 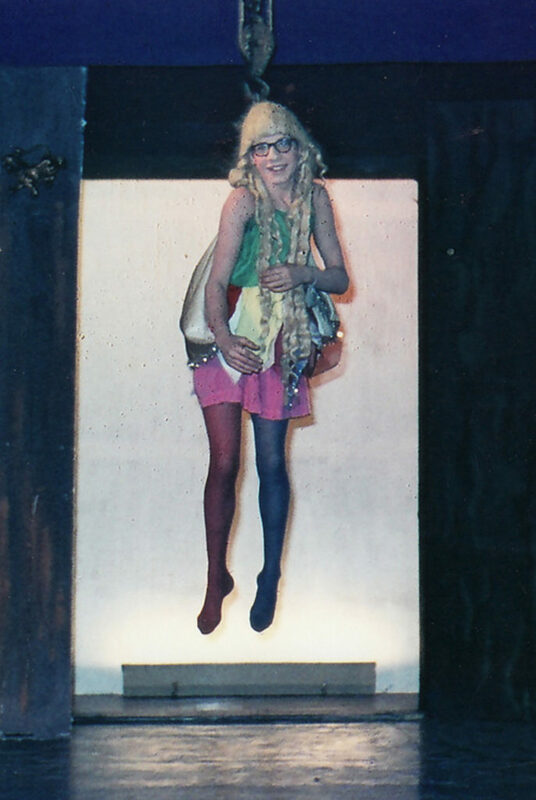 Fairy Twinkletoes – in descent!